Every once in a while, you read a business book and it becomes obvious that what you’ve been doing is…wrong. You know at that moment that you need to start doing things differently. 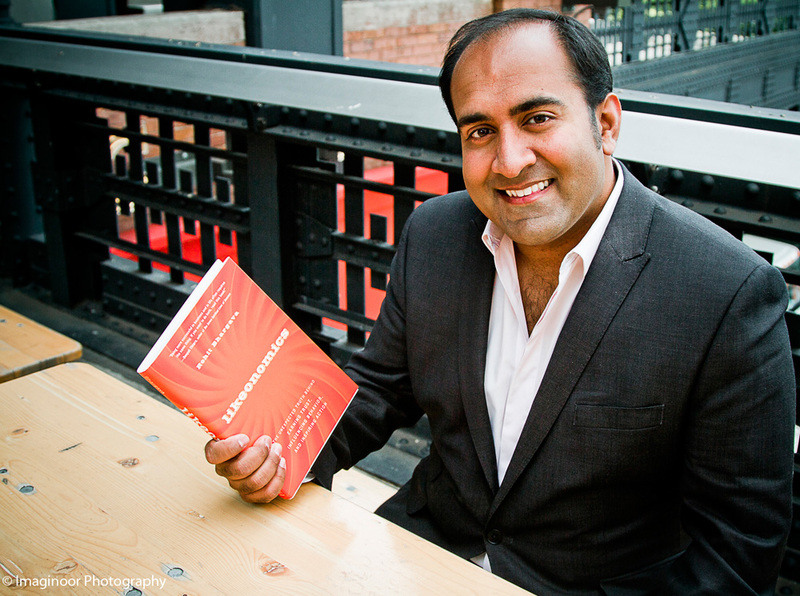 I had that feeling the first time I read “Personality Not Included: Why Companies Lose Their Authenticity And How Great Brands Get it Back” by Rohit Bhargava. At the time, Rohit was a co-worker at Ogilvy and I was reading the book as a professional courtesy. I mean, sure, he was a smart guy, super nice, and seemed to understand marketing, but I wasn’t expecting much. 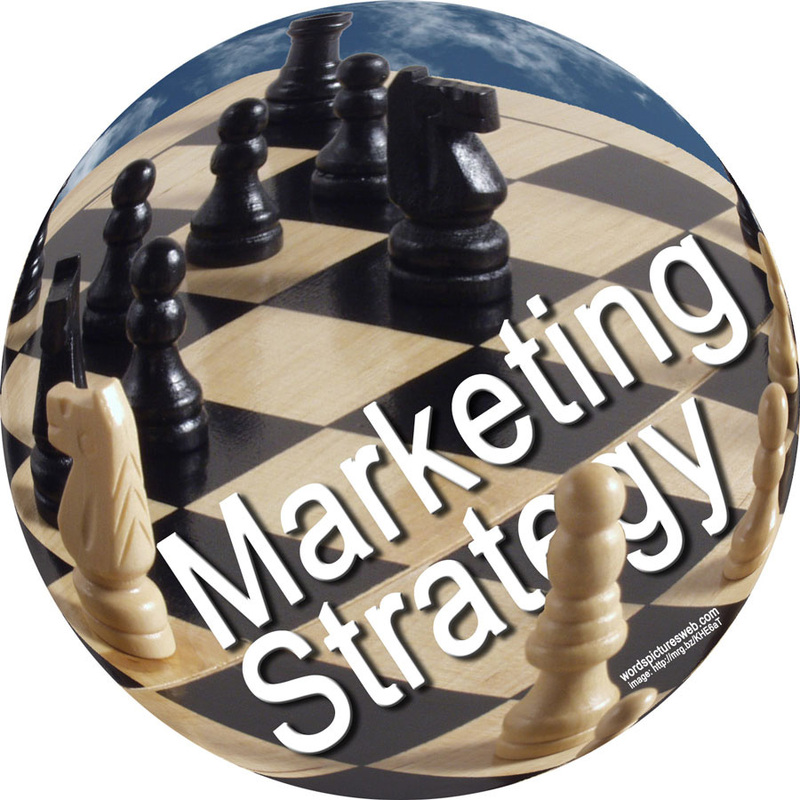 Most marketing books are bland and theoretical. Short on insight and long on catchphrases. But Rohit’s book was different. It was clear that Rohit had taken great pains to write a book that went beyond basic theories social media and marketing. It was an insightful, actionable book that is as relevant today as when it was published in 2008. Marketing strategy. Yours is working. Look, I’m going to run through a few things with you, since you already know all of this. You’re a marketing pro, so this is just a quick review of your talking points with your boss. A good marketer like you knows that you can’t just check boxes and expect to deliver remarkable results. You are already working hard to make sure your strategies and tactics are effective. 1. You have a strong content strategy. Steve McQueen movie poster from Bullitt. He drove a Mustang and he was very, very cool. If you work in Marketing, Advertising, or some kind or related field, you are probably familiar with the concept of personal branding. Or “Brand You” as it is sometimes referred to. Your Brand You is something you live every day. It’s the job you do and how you do it. It’s also your clothing, your blog, your online footprint. It’s a little bit of everything that supports the brand that is you. It requires care and feeding. For example, I was talking with a colleague, who is in a new-business development job. It’s part account manger, part business development, and all relationships. Anyway, he was lamenting the vehicle he drove, which is a Jeep Wrangler Unlimited. I asked him what was wrong with his Jeep. He told me that he felt strange picking up corporate clients in a Jeep, which he keeps immaculately clean because of his training in the military. He motioned to the parking lot, which was a sea of cars from Audi, BMW, Infinity, Lexus, Acura, and Nissan. Those are the cars sales guys drive, he told me. Yeah, I said, that’s is what they drive. And what you drive is different because you are different. Your brand is different. That’s not necessarily a bad thing. Picture this: you’re a client. The sales guy has offered to take you out to lunch and for some reason, he actually has two cars with him. He says, “we can take the Audi or we can take the ’69 Corvette.” Which would you choose to go to lunch in? My completely unscientific poll of industry colleagues and friends suggests that most people would go to lunch in the ‘Vette. Why? Because it’s a unique experience. It gives you something to talk about. The Audi is nice (which is why you buy one), but it’s not remarkable (unless it’s a performance model). You want to be remarkable. A friend of mind and I were talking about how to first brand and then market his company’s brand. We had a long, rambling conversation about marketing channels like YouTube, Vimeo, blogs, Twitter, etc. When he told me, “on Twitter, anybody can build up a massive following, so it’s not really worth doing,” he stopped me in my tracks. Upon further clarification, he told me that on Twitter anyone can follow a bunch of people and then unfollow them to build of your following. That traffic building technique, he explained, was one of the reasons Twitter didn’t really matter. It just seemed too easy. That, and anybody can get 50,000 followers, if you know how to work the system. Anyway, the conversation continued normally until my kids got hungry and began demanding dinner. So we broke off the call and went to our respective families. Through all of the hype and the amusing posts by @CharlieSheen, it’s easy to miss the marketing angle here. Specifically, Guinness saw a media storm and used it as an opportunity to promote their own brand. Not only that, they did it in a way that actually was relevant to their own brand. They validated a record. As of this writing, @CharlieSheen has only 30 actual tweets and 1,640,427 followers. Seriously, when was the last time you actually thought about who held the record for anything? When was the last time (I’m assuming that you’re out of grammar school) you held the Guinness Book? Probably not recently. The continued rise of Facebook means that all marketers — even those who have traditionally ignored social media tactics — are trying to figure out how to tap into this techno-social phenomenon. One of the easier (and more affordable) ways to test the social waters is to set up a Facebook Fan Page. Plus, it’s free to get started. I recently set up a fan page for my books (I’ve published three) and my CD-ROMs (again, three published). My books and CDs are resources that provide anatomy reference for comic book artists. Yeah, it’s a unique niche, I admit. Setting up the “Photo Reference for Comic Artists Fan Page” was free and easy. If you were able to sign up for Facebook and set up a profile, you can figure out how to set up a fan page. For content, I uploaded sample photos from each of the books. It’s basically the same stuff that I have posted over in Flickr galleries and on my personal website. So once you do that, you need to let people know about your page. Right now, I am promoting on the cheap. Basically, I shared the link with everyone in my Facebook Friends list who would be remotely interested in the page. To my surprise, I got a dozen people on the first day, and then it quickly picked up from there. In less than two weeks, I had hit 200 fans. Not bad for word of mouth (WOM) promotion. At that point, I had an audience. So I started uploading extra photos, like behind the scene shots that nobody has ever seen. As I posted pictures, people started giving it that thumbs-up “like,” which is a virtual endorsement. That resulted in more people signing up to be fans of the page. In the social marketing space, it’s all about relationships, so virtual approval is hugely important. As a marketing channel, Facebook Fan Page is an free and easy way to begin spreading your brand message. Facebook even offers some rudimentary statistics and demographic information. It’s not very useful at this point, since my trends are just creating an initial baseline of information. At 10,000 fans you get access to more detailed analytics, but it’s unlikely that such a deep vertical like my books has that much of a broad-based appeal. But you never know. Next month, I’ll try Facebook’s built-in advertising network to drive more awareness of the fan page. But for now, I am content recruiting fans organically, as they discover my page through their actual social network. The next few weeks will be focused on posting new information and photos to get people engaged with the fan page. I’ll try running contest, just to see if people will participate. It will be at least six months before I get information about book sales, so I won’t know if this actually helps my long-term goal of selling books. Stay tuned. More to come. Oh, and don’t forget to become a fan! Do You Need a Facebook Fan Page for Your Business? So you’re thinking about a blog to promote yourself? Awesome. As your personal self-appointed blog expert, I will offer useful traffic-driving tips (that I may or may not use myself). First: Content is king. Wow, I know, deep. But it was true when we used to slay trees to share information, and it’s true now. If you have the right content, people want to read, see, experience it. So, you want traffic, but you don’t want to resort to posting naughty pictures of celebrities. Fine, me neither. 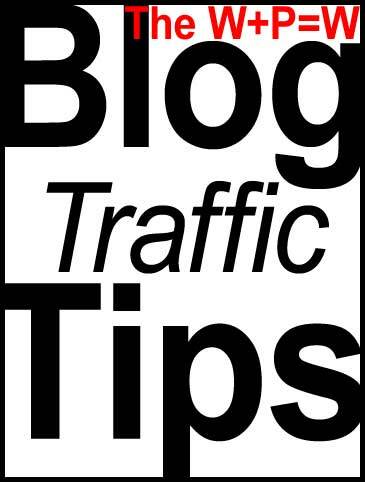 So today’s blog traffic tip is to Be Controversial. Stir the pot. Give ’em somethin’ to talk about. Example: Kurt Sutter is a successful Hollywood producer who worked on The Shield and is the creator of Sons of Anarchy. The guy is credible. So when he talks, people listen. Boy does he talk. His blog SutterInk is an eye opener, especially when you consider Sutter is talking about people who pay (or may someday pay) his salary. It’s a bare-knuckled critique of the television industry. Even for people not working in Hollywood, it is a startlingly brutal blog. And, if you just judge it by comments, people read Sutter’s blog. A lot. His recent blog post “NBC’s Act of Contrition” has already netted 65+ posts in under two days. I loved the Shield, and now I plan to check out Sons of Anarchy. Yes, because of Sutter’s blog, I want to see what kind of television this guy produces. So…back to Tip #1. If you want to drive traffic to your website, consider a little bit of controversy. Note: it may help if you already have a good contract and a few Emmys to back up your talent. If you’re just a regular shlub, you could end up unemployed. Blog about that. Even if you’ve never heard of Bob Parsons, you’ve probably seen one of his ads. Or, at very least, surfed a website that he’s registered. Y’see, Bob Parsons is the owner of GoDaddy.com, which is one of the places where people go to register their website names. They are known among web developers for having good prices and services. Most of the world, however, if familiar with GoDaddy because of their racy, sometimes controversial, television commercials. GoDaddy spends a fortune advertising a very, very niche service to one of the largest annual television audiences in the country. Why advertise a niche service to people who would never even be in the market to buy your services? It’s hard to say why Parsons would want to reach so many people who have never (and never will) buy a website URL. One thing’s for sure….Parsons likes to promote himself and GoDaddy. And, as a marketer, he’s done a very good job. Not everyone likes Parsons’ outgoing, ex-Marine public persona. He’s an in-your-face businessman who wears his personality on his BobParsons.me website and the web properties that he owns. On his site, Parsons tirelessly blogs and vlogs his opinions. No doubt his “Straight Talk” blog has raised the ire of some people. It would be an understatement to say that Parsons has an opinion about his competitors. It’s rare to see someone comment on competitors’ tactics so directly. Love him or hate him, Parsons has made himself an Internet celebrity. And he’s not just a celebrity for being famous, he’s actually a successful entrepreneur. He’s been selling website registrations since around 1997. Check out this video of Bob Parsons, as he makes direct comments about the competition, the advantages of using GoDaddy, and even mistakes he’s personally made over the year. Even if you don’t like him, you have to admit, he’s working hard to build the Bob Parson Brand. Also, check out the very funny GoDaddy video that was spread on the Internet when the SuperBowl supposedly (who knows if it’s really true) rejected the GoDaddy commercial. It shows an entertaining fictionalization of GoDaddy spokesmodel Nikki Capelli (actress Candice Michelle…link not for work) giving testimony at the Broadcast Censorship Hearings. 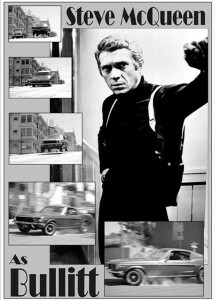 It’s well written, shot, and acted and has been watched hundreds of thousands of times. Looking for a new way to spread the word about your business or service? Look no further than your iPod. If you have an iPod (isn’t that a requirement for living in the USA? ), you have iTunes. There’s a button for “Podcasts,” which are audio programs. Like radio shows without the radio. I download podcasts every time I plug in my iPod. It’s a free and legal service provided by Apple. 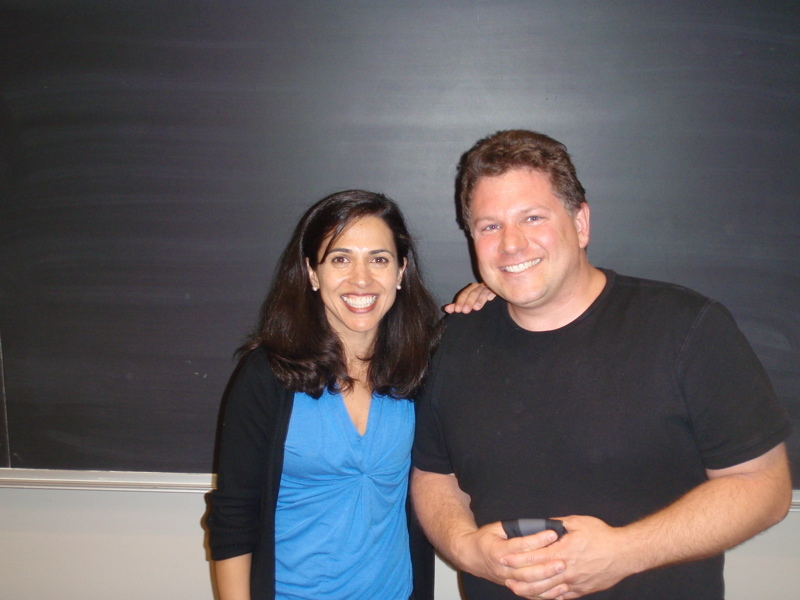 On the podcast, Pilar would talk about her Los Angeles screenwriting classes. These sounded great, but could be a long drive for me, since I live in New Jersey. Then…she announced a New York class. And with the speed of Mercury and the riches of Midas, I sent her $125. I sent my money because the podcast actually proved that Pilar knew how to teach screenwriting. Think about it. I sent a total stranger $125 over the Internet. Because I listened to her podcast every week, Pilar was not really a stranger. Her podcast proved that she was what she claimed: A professional who taught the craft and business of screenwriting. For Pilar Alessandra’s screenwriting classes, podcasting turned out to be an effective marketing tool. Is something you’re doing worth talking about? Consider speaking about your brand message through a podcast.